Aaron Way, D.O. is an osteopathic physician who enjoys practicing the full spectrum of family medicine. From birth to death, he focuses on preventative care and wellness. 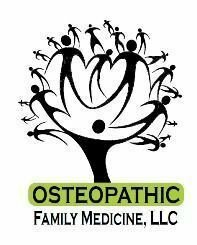 Dr. Way is board certified in Osteopathic Family Medicine by the American Osteopathic Board of Family Physicians. He grew up in Southern Rhode Island and went to the University of Rhode Island for Undergraduate and Graduate degrees, then on to the Lake Erie College of Osteopathic Medicine for his Doctorate in Osteopathic Medicine. After completing his residency in Family Medicine at the UMASS Fitchburg Family Medicine Residency in central Massachusetts, he returned to Southern Rhode Island to establish this family medicine practice. Dr. Way enjoys being involved in your medical needs. He feels that strong communication with your specialists, hospitals, therapists, home health service and other agencies is a must and will strive to improve the continuity of your care. By taking an osteopathic approach, he can help identify needs beyond the specific disorders you may have and develop a comprehensive plan to get you well. In the office, Dr. Way provides many services including: annual wellness exams, sick visits, followup visits for chronic diseases, osteopathic manipulation, in office procedures (biopsies, ear wax removal, joint/trigger point injections, and immunizations), vision assessments, gynecological exams, drug screening, urinalysis, EKGs and nebulizer therapy. Dr. Way also works at Meadows Edge Recovery Center (CNE/Butler Hospital) in North Kingstown doing outpatient addiction treatment for adults. 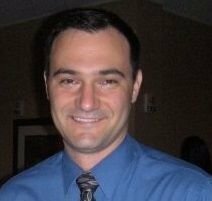 He also works at South County Hospital in Wakefield, RI as a hospitalist. Dr. Way serves on the Rhode Island Medical Society's Physician's Health Committee.